If you're anything like me, you probably don't think too much about the expiration date of your makeup. I'll make sure to change my mascara at least every three months, but often use my foundation and lipsticks until they run out, which usually takes longer. And I certainly keep my brushes for a couple of years, as long as I'm cleaning them properly. But how often should you actually change your makeup products? The answer may surprise you. Dermatologist Jessica Wu, MD, explained to Everyday Health, "Most beauty products are designed to stay fresh and stable only for a limited period of time. After that, they start to break down, so your cream might not work as well, your makeup may streak or change color, or — worst case scenario — you could develop a terrible infection.” Basically, if you don't want to risk the chances of getting an infection, be super in-the-know about when you purchased your makeup — and when you should throw it away. According to Everyday Health, foundation should be tossed after one year. "Within just months, foundation can start to grow bacteria that present health risks to your skin. Some analyses of old makeup have found traces of staphylococcus and streptococcus, both of which have been known to cause potentially serious infections," Wu told the publication. Yikes! Better late than never, right? OK, so I'm really bad at keeping the same lipstick for more months than I should. Since I don't use lipstick too often, I'll usually just keep it in my bag until there's nothing left. 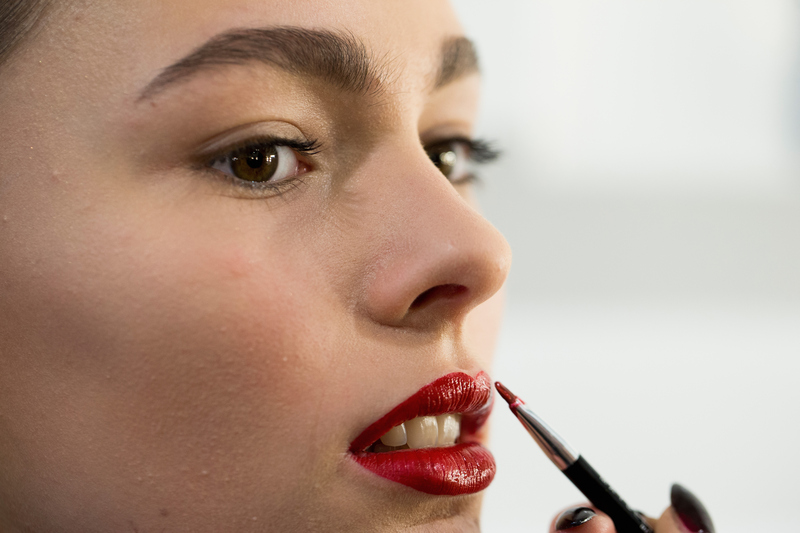 But actually, you should be changing your lipstick every year, according to Byrdie. If it starts to smell though, definitely toss it ASAP. Usually I never really have a problem with buying new eyeliner because of wearing cat eyes on the daily, but to avoid infection, be sure to throw out and switch your eyeliner after three months. Just like with eyeliner, make sure to throw out your mascara after no more than three months of use. Life Hacker suggests applying saline solution to extend your mascara's shelf life longer, but if you can, try to purchase a new tube altogether to avoid bacteria. Eyeshadow can be a bit tricky, but it all depends on the ingredients. Powder eyeshadow can last up to two years, according to PopSugar. Creams should be tossed after 12-18 months because it can be easier for the formula to harbor bacteria. Just remember if you're having a weird reaction, or the color/scent starts to change, it's better to just throw your product out immediately.